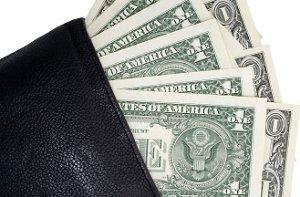 Coupons and other discounts can keep cash in your wallet. Splash into savings with Raging Waters coupons and discover just how much fun it can be to experience some of California's best water parks without drowning in debt. Each park offers a unique layout with different attractions, and before visiting the park it is a good idea to check out a theme park map or visit the official website for more specific details. Coupon offers are usually available only for a limited time and may have a variety of restrictions. Be sure to read all offers carefully before using, and check for restrictions such as expiration date, limits on the number of discounts, blackout dates, which parks the offer is valid for, and other qualifications. While there may not be many Raging Waters coupons available, there are other ways to find discounts for these popular water parks. Purchasing tickets online and in advance can result in significant savings, often several dollars per ticket. Combinations packages with other area attractions (zoos, other theme parks in California, the state fair, etc.) are occasionally offered, and discounts may be available for military personnel, senior citizens, or AAA members. Season passes also offer a great value for Raging Waters. Pass prices range from $40 to $65 depending on the park where they are purchased, and they are valid for all three parks. Visiting even one park just two or three times during the summer can result in substantial savings. In addition to saving money on admission, there are other ways to save when visiting Raging Waters. Use public transportation to avoid parking fees. Choose discount hotels for extended visits, preferably ones close enough to walk to the park. Avoid eating in the park and instead leave for an hour or two to have a less expensive meal elsewhere. Plan your visit during less busy park periods to get the most value from the admission price and avoid longer lines and larger crowds. Bring all necessary accessories to the park, including sunscreen, sunglasses, and towels to avoid needing to purchase these items from souvenir stands. Take advantage of all day lockers (and the refundable deposit) to keep valuables safe while at the park, or save even more by leaving valuables locked in a vehicle or hotel room while visiting. Using Raging Waters coupons and other discount offers can make a visit to these amazing water parks affordable as well as fun. 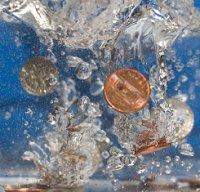 With a little savvy planning, it is easy to have a splashtastic time without spending too much.